Technology has enabled man to create many architectural wonders. Many sky scrapers stand around the world paying homage to the great achievements of man. However, there are a few towers that also define magnificence; but are not made from bricks and steel. These towers comprise of actual live human beings. The city is Tarragona, Spain. 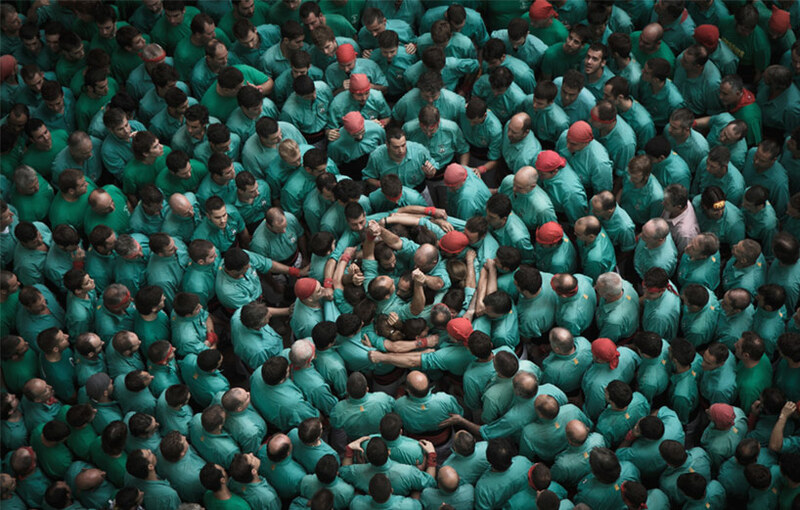 The event is called “Concurs de Castells”. 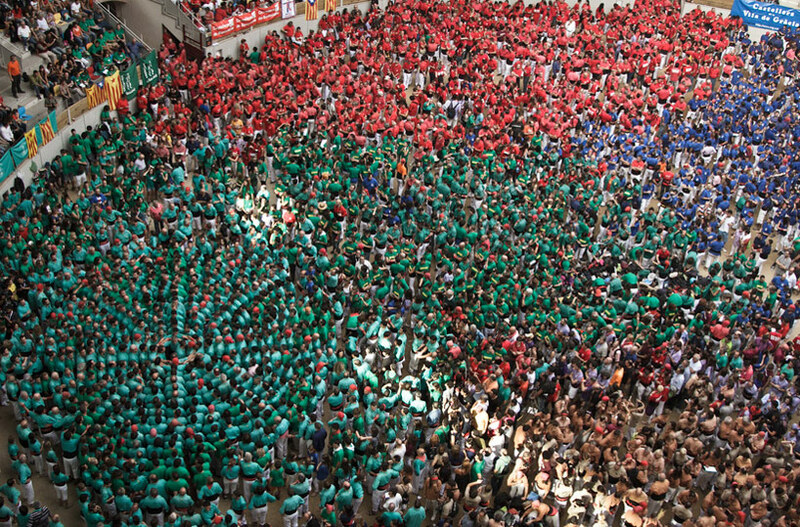 Hosted every two years, this event is probably the biggest in Spain after the world famous “La Tomatino”. 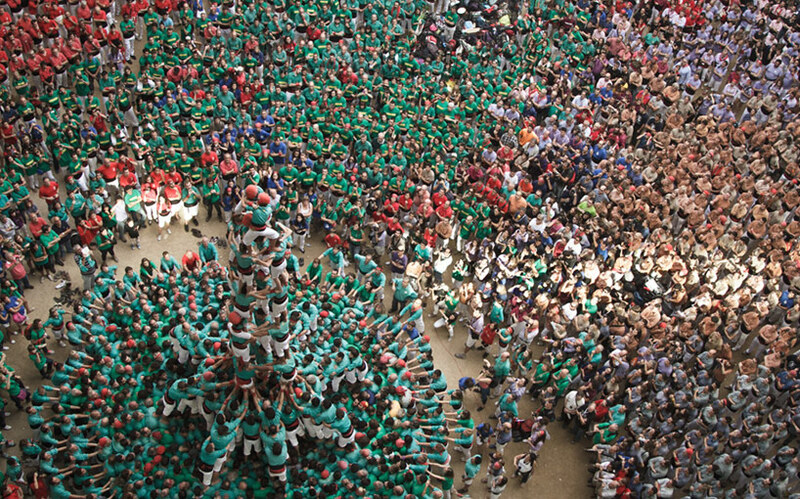 With a live audience of over 20,000 people, “Concurs de Castells” comprises of over 30 teams from all around Catalonia. 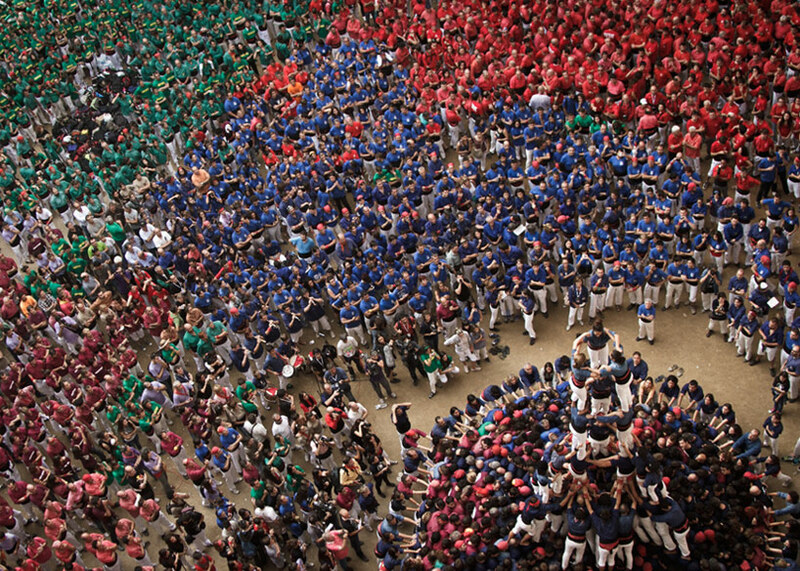 All the teams assemble together and create human towers; with the heavier ones as base, and the lighter ones on their shoulders. 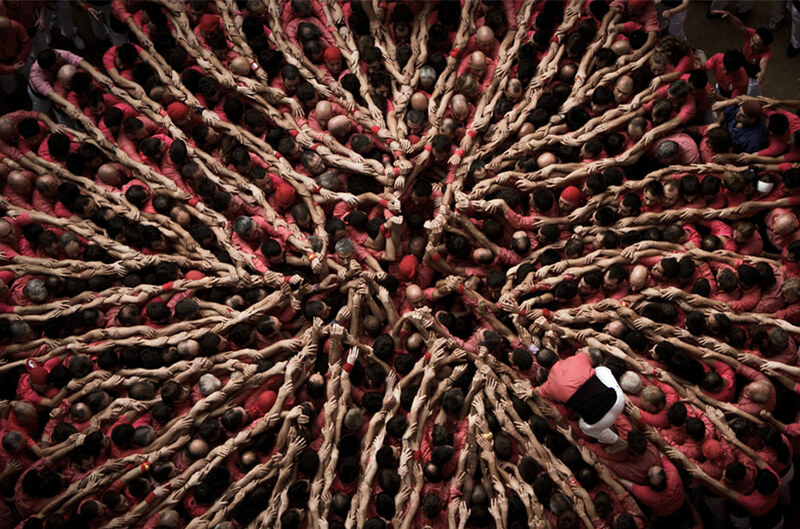 The biggest of these human towers can consist of up to 500 men and women! Photographer David Oliete captured some breath taking aerial photographs of the towers. 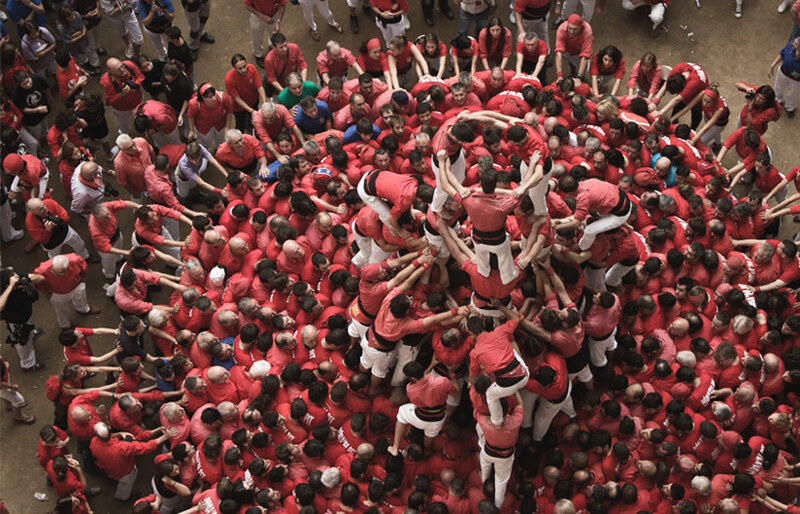 The rules are that the higher and more complicated the tower, the more points the team earns. 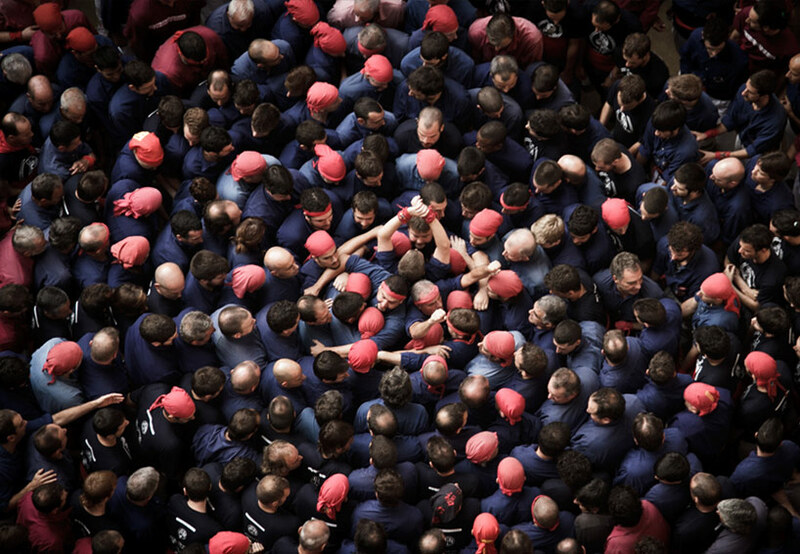 This festival, like “La Tomatino” is very unique and is a part of the rich Spanish Culture. Although it resembles the Indian festival of “Govinda”, it is much larger in magnitude and the festivities are unlimited. 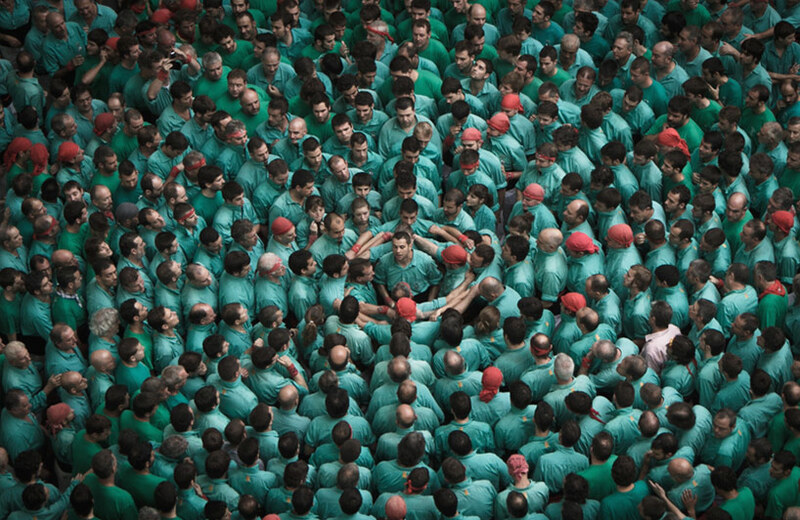 The photographs give a magnificent view of the human towers, with each team having its own similar colored clothes. The towers that these fun loving men and women create defy the greatness of the Eiffel Tower and the Burj Khalifa. Creating such massive towers requires a lot of practice, stamina, strength; and most important of all, team work. One weak link, and the tower would come down to the ground like a house of cards. The world is filled with many different cultural festivities. 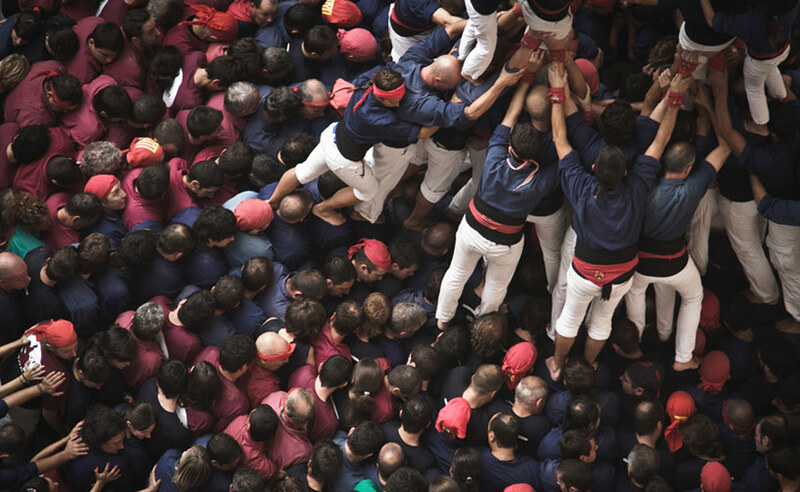 The “Concurs de Castells” is a great example of what wonders lie deep within any country on the globe.